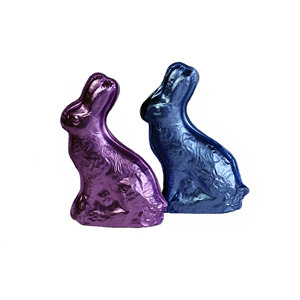 The finest solid milk chocolate rabbit wrapped in pastel foil colors. Comes in four colors; blue green, pink, and purple. Colors cannot be chosen. Customer will receive one of the four colors randomly!